All Souls College, University of Oxford, philosopher Amia Srinivasan, wrote in the New York Times Opinionator that defenders of the free market and classical liberalism must answer “yes” to four questions to remain consistent. She thinks her four questions rope and tie free marketeers like a calf in rodeo: if we answer ‘yes’ to all four we prove what disgusting immoral people we are, but if we answer no to any of them then we don’t support free markets. However, like most debates with socialists, Amia’s success in roping and tying us free marketeer calves depends upon us accepting her definitions of words and her economic assumptions, which she cleverly keeps hidden from the sleepy rodeo fan. So before I answer her four questions and still maintain that I support free markets, let me clear out some of the manure that people are stepping in. First, no one has to accept Rawls’ definition of justice. He spun it and wove it from his own imagination. It’s an interesting one, but that’s all. His entire argument hinges on readers accepting his definition. If we don’t, the rest of his argument collapses. So why did Rawls feel compelled to invent a new definition for justice? Because he didn’t like the results produced by the definition that dominated the West for 300 years. Before the advent of capitalism in the Dutch Republic of the late 16th century, justice was whatever the king and nobility said it was. They tended to be biased. The Dutch first made everyone in the nation equal before the law and from then on justice mean procedural justice – the state treated everyone the same. That applies to distributive justice where the state distributes anything to citizens. Rawls didn’t like that idea of justice. He wanted equality of outcomes, not just procedure. Helmut Schoeck, the great German sociologist, demonstrated in his book Envy: A Theory of Social Behavior that the desire for equality of wealth oozes from the most egregious member of the ancient seven deadly sins – envy. Envy insists that no member of a society excel more than others. Envy became institutionalized in most cultures, poisoned innovation and destroyed economic development from 10,000 BC until 1600 AD in the Dutch Republic. Schoeck credits Reformed Christianity for creating a formula that restrained envy and encouraged innovation and personal success. As a result, the standard of living for the West grew 16 fold. Rawls and other socialists want to turn back the clock to pre-capitalist days when envy ruled mankind and kept everyone equally poor. Second, there has been no dramatic increase in economic inequality in the US. The philosopher chose figures to shock uninformed readers, but most economists who deal with inequality use the Gini coefficient or one of its variants. Nobel Prize winning economist Robert Fogel wrote in his book Escape from Hunger and Premature Death that the UK cut inequality from a Gini coefficient of .65 in 1700 to .55 in 1900. The Gini drifted lower until hitting .32 in1973, then started rising again. The US experience was similar. Today it is back to about .38. Keep in mind that the Gini has risen in spite of the most ambitious welfare programs in the history of the US beginning with Johnson’s Great Society legislation. A large part of the rise in the Gini has been merely a statistical fluke. Those who calculate Gini use household data and households today are smaller with single mothers heading many of them, most of whom are poor. In the 1970’s many of those single mothers would have lived with family and been part of a wealthier household. Also, the US has enjoyed a massive invasion of poor immigrant from the south. Still, how can we explain the fact that the “top 1 percent of Americans saw their income multiply by 275 percent in the period from 1979 and 2007...” The answer lies with sound monetary theory. Since 1965 the Federal Reserve has inflicted upon the US a policy of massive money creation. New money enters the economy through loans and those who receive the new money first get to buy assets before their prices rise. In other words, the Fed’s inflationary policies benefit the top 1 percent. On the other hand, those who receive the new money last, the working poor, get it after prices have risen. Their wages never keep up with price increases, so the Fed punishes the poor with its policies. The Fed is a quasi-governmental organization with a monopoly on the creation of money. It has no part in a free market economy. Finally, when we free marketeers extol its virtues, we assume the rule of law in which government protects the rights of citizens to life, liberty and property. That means the state has the duty to punish fraud, theft, kidnapping, slavery, murder, extortion, etc., not the market. Socialists fabricated the fantasy that laissez-faire economics means the elimination of law and order. That has never been true for free marketeers at any time in history or any place on the planet. Now to the questions. No. As the Church scholars of the University of Salamanca, Spain determined in the 1500’s, for exchange to be free there must be no fraud involved. As for compulsion, that would include the state passing laws that forced consumers to pay a set price. Add fraud and compulsion by the state to “compelled” and free marketeers would say no. People should not be allowed to sell themselves into slavery. People don’t “deserve” anything other than eternal punishment in hell. But they have a right to whatever they are able to get through free exchange. A gambler or lottery winner doesn’t deserve what he got, but he still has the right to it because of the ancient and morally superior right of private property. The same goes for inheritance. Property gained by luck is just a valid and morally defensible as any. That depends. 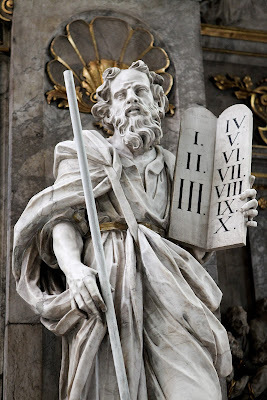 Natural law, sometimes called God’s law, such as the prohibitions of theft and murder, obligate everyone at all times regardless of how they feel. Helping the poor is a moral obligation, but not a legal one that the state can enforce. Outside of natural law and moral obligations, people should be free to do what they want to do. See, I answered no to three questions and maybe to the last one and am still a consistent defender of free markets. But it’s probably a free market different from the caricature that socialists have invented and fight against daily.